Senior living operators must be well-informed as well as nimble with their caregiving approaches for residents living with dementia. Sue Kruse, RN, director of clinical education at Silverado, will offer advice on how to use exercise, brain-stimulating activities, meditation and other strategies to improve resident quality of life in a webinar during the McKnight’s Senior Living Online Expo, set for Wednesday, June 13. Kruse’s presentation, titled “Ways to Attack — and Possibly Prevent — the Progression of Dementia” will take place at 1 p.m. ET. 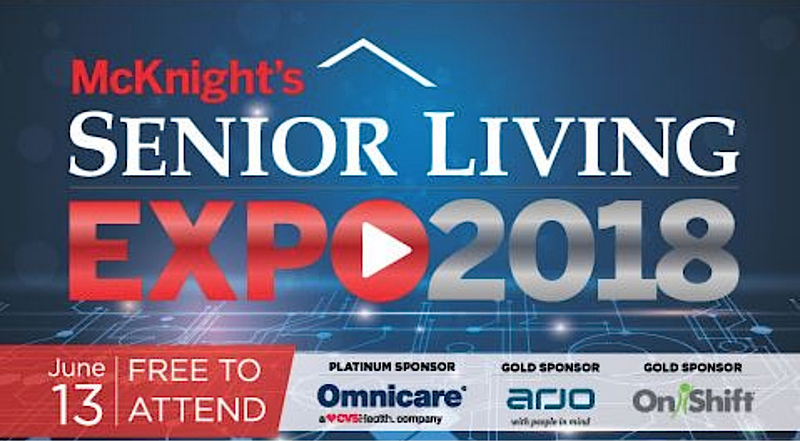 It is one of three webinars planned for the second annual McKnight’s Senior Living Online Expo, where attendees can earn up to three continuing education credits and interact with several companies serving the industry. The virtual doors to the free event will open at 10:30 a.m. ET, when registrants will be able to visit the booths of several participating companies. The additional webinars that day will take place at 11 a.m. and 2:30 p.m.
More information and registration for the event is now available at www.mcknightsseniorliving.com/June13Expo.